It seems like more and more families I know are dealing with food allergies these days. I am not talking about the old fashion "belly aches" that my brother got if he ate something with oats in it, but serious, potentially fatal food allergies. Families dealing with food allergies live in a constant state of high alert....every label must be read, every snack checked, and every meal carefully prepared to avoid cross contamination with a potential allergen. If you are a family dealing with food allergies from mild to severe, I have GREAT news for you! Disney cares! A LOT!! As a travel agent, I have worked with many families dealing with food allergies, so I thought a first hand call was in order so I could let my clients know what to expect. I am happy to report that I got some great information! First of all, if you are headed to Disney and have food allergies, your first call (after me of course! 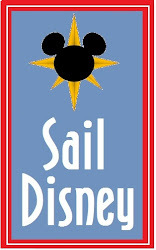 ;)) should be to the Disney dietary request hotline at 407.824.5967. When I called I was instructed to leave a message and someone would contact me within 2-3 business days. To my surprise, my call was returned within an hour or two. I spoke with a fantastic and knowledgeable cast member who patiently answered every question I could think of. She told me that she was giving me generalized information, as I was not calling with a specific allergy. If you call with a specific allergy or allergies, you get specific information...go figure! There is no guarantee that your allergy can be accommodated, but you can be sure Disney is used to dealing with the major offenders (gluten or wheat, shellfish, soy, lactose or milk, peanuts, tree nuts, fish or eggs). Every effort will be made to make sure your visit is a safe one. Disney also clearly points out (as families dealing with food allergies know) "it is ultimately always up the Guest to use his or her individual discretion to make an informed choice regarding whether to order any particular items, since the Walt Disney Company cannot guarantee that allergens may not have been introduced during another stage of the food chain process—or even inadvertently—by us." After you make contact with the Special Dietary Requests office, they will complete a form detailing the type and severity of your allergies. A copy will be send to your resort hotel, as well as all of the restaurants where you are planning to eat. (This is where planning ahead with your ADR's really pays off!) This form will be sent directly to the chef ahead of time to make sure that he is aware of your allergies and his kitchen is stocked appropriately. At this time, the Special Dietary Request office will give you some great "need to know" information. For example, if you have a serious shrimp allergy, dining at Columbia Harbor house would be a serious risk for you. They can also make recommendations of various Counter Service locations through out the park that can most easily accommodate you. For the record, every restaurant will try to accommodate you, but if you are "winging" things or just prefer the path of least resistance, knowing where you can be easily accommodated is certainly handy. When you make your reservations, you should also note your allergies on the standard form provided. This information goes to the hostesses and waitstaff to make sure they are properly alerted. This does seem a bit redundant, but it is worth doing to make sure everything is a safe as it can be. Table Service Restaurants - When you give your name to the hostess, he or she will likely immediately acknowledge your allergies. If not, be sure to mention it! The hostess will alert your sever and the chef. Expect the chef to come to your table to discuss your allergies and any accommodations that need to be made. The chef will advise you as to what is safe to eat from the menu, or will offer to prepare you something to your liking. How cool is that? Buffet Restaurants - Expect all of the same as you would from a menu service restaurant, but with a twist. If you have a less severe allergy, the chef will walk down the buffet with you and let you know what is safe to eat. If you have severe allergies, the risk of cross contamination is too high on a buffet, so the chef will as what you would like and he or she will specially prepare it for you. Again, how cool is that? Counter/Quick Service Restaurants - Alert the cashier of your allergies and a chef will be sent out to speak with you. The chef will let you know what is safe for you and will see that it is safely prepared. Again, all locations will accommodate you, but you may find it easiest to stick to the restaurants that can accommodate most allergies. Planning a celebration? Need a cake? Not a problem! Call the cake hotline at least a week in advance, preferably longer, and let them know your needs. You will have a safe cake waiting to celebrate your special day! As I concluded my conversation with the great lady at Special Dietary Requests, I asked what else I needed to know. She repeated that every guest is given specific information based on their specific needs...so I have the feeling that I only scratched the surface. She also indicated that Disney regularly reviews and changes their policies to better serve their guests, so even if you are a Disney pro, you need to check in each visit to make sure your needs are considered. She also referred me to the official Disney web page on the topic. Click here for more information. 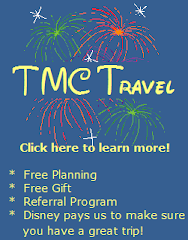 Please "like" us on Facebook by using the widget in upper right hand corner of this blog or at www.facebook.com/TMCTravel ! Got kids? Get Glow Sticks! RSS Feeds, The Orange Wave Icon, and You.